Nikon D850 undoubtedly one of the best full frame camera ever launched by Nikon till date, The camera features super high resolution sensor, with excellent dynamic range and proved in test, the low light performance of this camera is also unmatchable. And finally the details you get with the enormous amount of resolution helps you to recompose your image even after getting your desired shot. Fujifilm X100F camera user manual is now available for download. The manual will help you understand your camera in better way. I always recommend people to readout and understand the user manual of a product, since today’s technologically advanced consumer products comes with lot of new features and it’s possible that u even don’t know some hidden features of a new camera. Download the Canon EOS M5 user manual but u begin I must tell you that the Canon EOS M5 camera is one of the best mirrorless camera canon ever manufactured. For PDF and manuals we always given here via alternate download links so can download it whenever you want even if the camera manufacturer website goes down or they remove. The Pentax K-1 DSLR uses 36 Megapixel CMOS sensor of ultra popular Sony A7R camera. The camera is powered advanced PRIME IV image processing engine that is responsible for the overall speed of the camera. With the help of ultra popluar sensor and advance image processor the camera is able to secure ISO range of 204800 ISO. 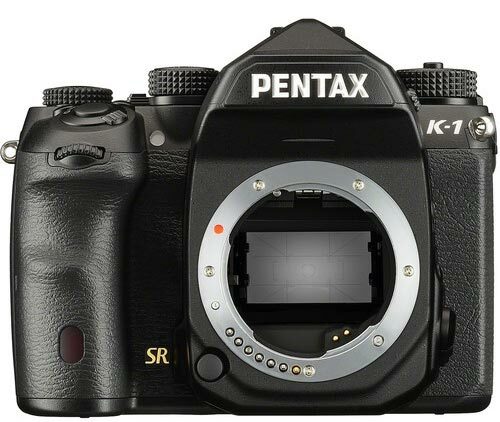 The Pentax K-1 doesn’t uses low-pass filter and also uses AA Filter Simulator function to reduce moire when needed. Pentax DSLRs, the K-1 is equipped with a 5-axis Shake Reduction system that can counter the effects of camera shake by up to 5 stops. This larger system is optimized for the full-frame sensor and can account for yaw, pitch, and roll as well as vertical and horizontal motion of the camera. Also, due to the stabilization being incorporated into the K-1’s body, it functions with every K-mount lens. The camera uses d SAFOX 12 AF sensor that features 33 AF points and 25 of them are of cross type, on the rear side of the camera awe have 3.2″ cross-tilt LCD monitor, which can tilt upward 90°, down 44°, and left and right 35° for numerous positions. unfortunately the camera remains limited to Full HD video mode and unable to shoot 4K like other competitive DSLRs, additionally the camera uses Super Resolution mode that composites multiple images together and an AstroTracer function that combines with the built-in GPS to minimize star trails during long exposures. From today google owned Nik software (better we say plugins)is now available for free to download, the pack composed of Analog Efex Pro, Color Efex Pro, Silver Efex Pro, Viveza, HDR Efex Pro, Sharpener Pro and Dfine and weight is approx 500MB.